Chalkboard Menu Boards with menu holder feature. 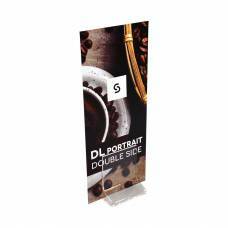 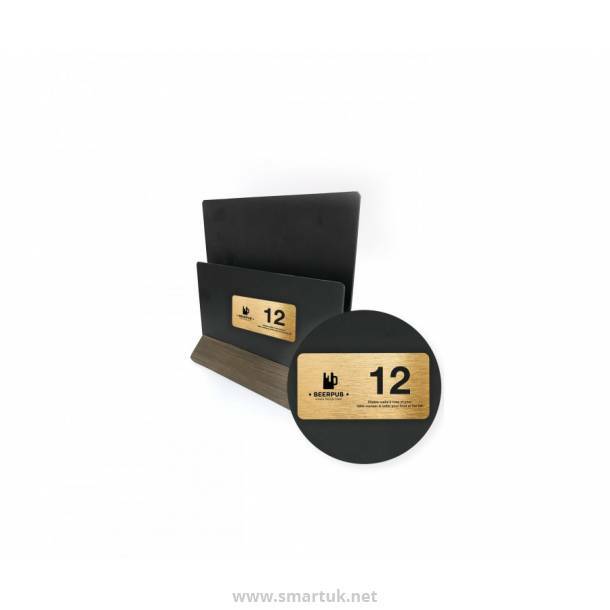 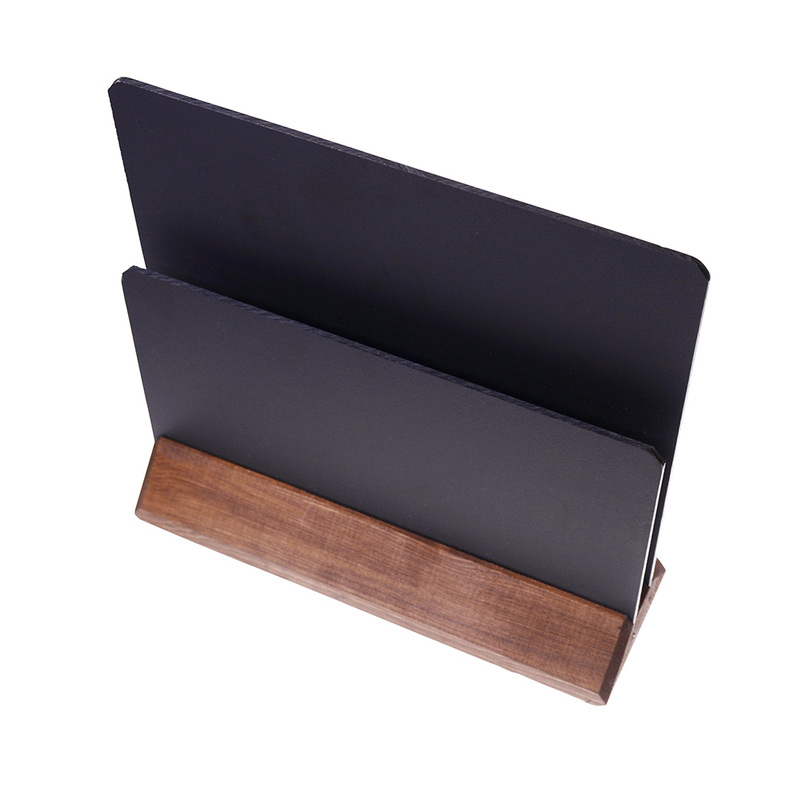 Our chalkboard menu holders are a functional and stylish product that double up as a menu holder with promotional advertising chalkboard space. 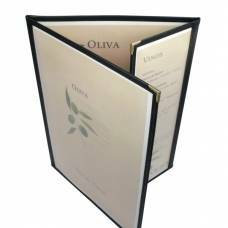 Chalkboard Menu Boards with menu holder feature allow the flexibility to hold a printed menu product, or menu holder product, between the two chalkboard panels. 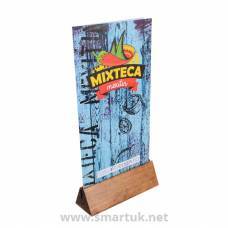 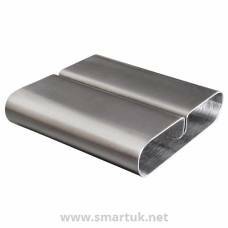 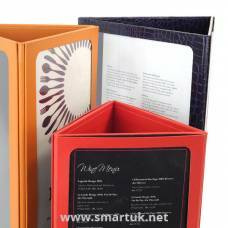 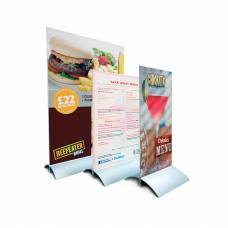 This offers the ultimate in space saving and personalised menu holder solutions for your restaurant or venue. 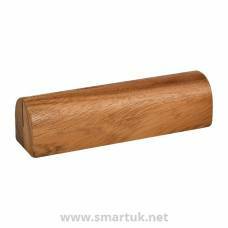 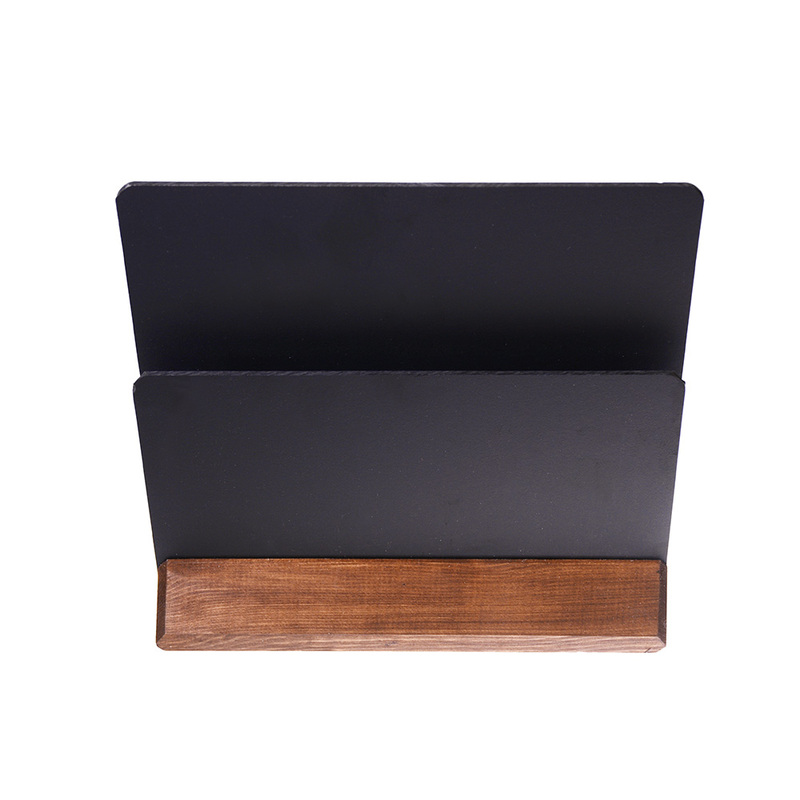 Chalkboard Menu Boards come with a rustic hardwood, dark oak base. 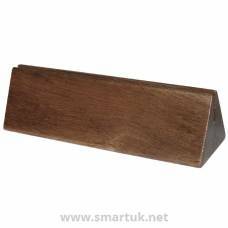 The dark hardwood base is 70mm deep x 30mm high with a gap of 20mm between the boards, most menus will fit between these chalkboards. 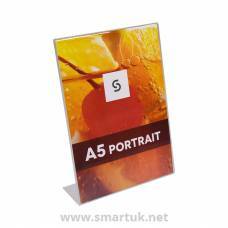 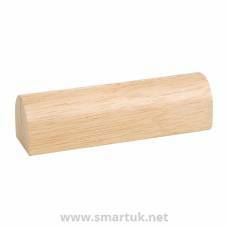 Personalisation is available on this product, if required. 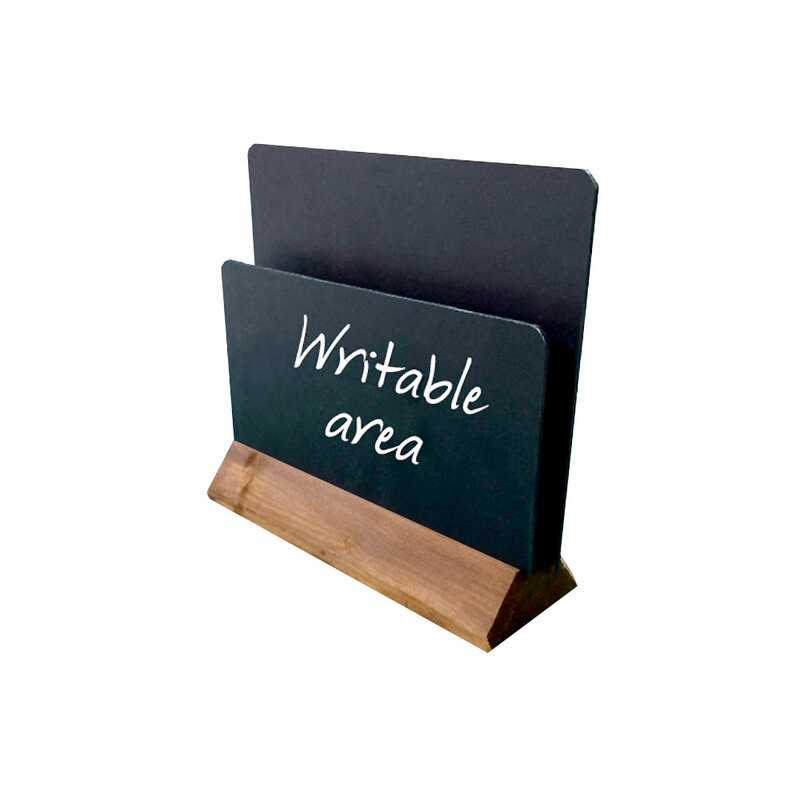 Chalkboard Menu Boards with menu holder feature are durable, easy to keep clean and manufactured from high quality materials, products that you can rely on from Smart Hospitality Supplies. 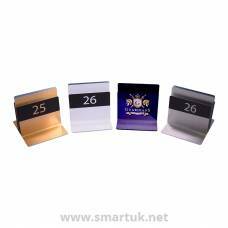 A personalised plate can be added to this item for an additional fee. 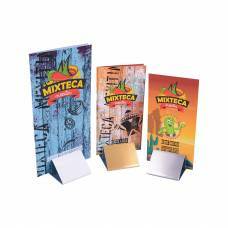 Select the "Branded" option and reply to your order confirmation with your artwork file.